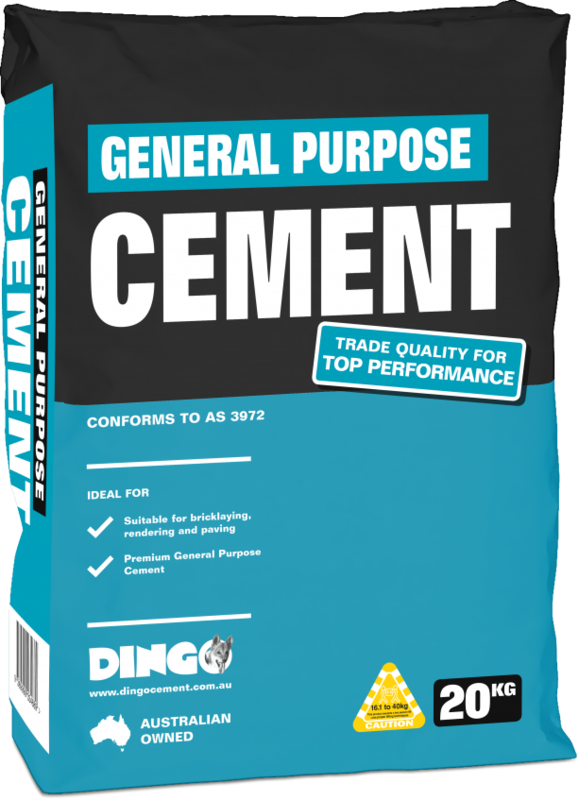 Dingo General Purpose Cement can be used in a wide range of mortar, concrete and grout applications. It is suitable for bricklaying, rendering, paving and general building. For Mortar, Render & Paving mortar, Combined Cement, Hydrated Lime and Sand. Gradually add water and mix thoroughly to a workable consistency. Excess water ruins good concrete and mortar. It is recommended to use a bucket rather than a shovel to measure out your materials. Refer to the chart as a guide for the various applications.